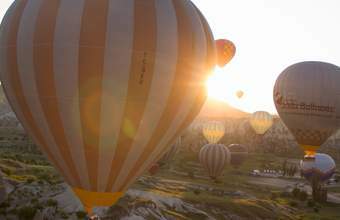 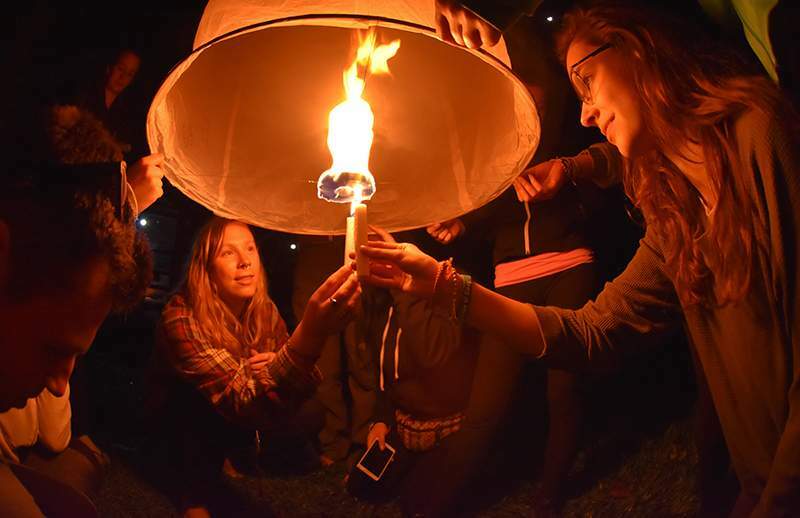 Take a trip to real-life Neverland. 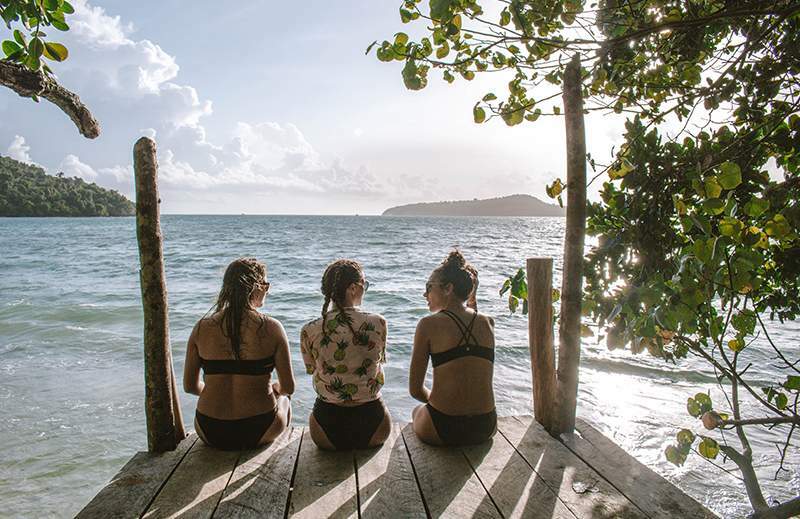 Heavenly white-sand beaches, constant tropical weather, and legendary parties await you. 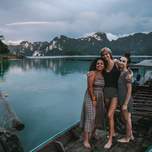 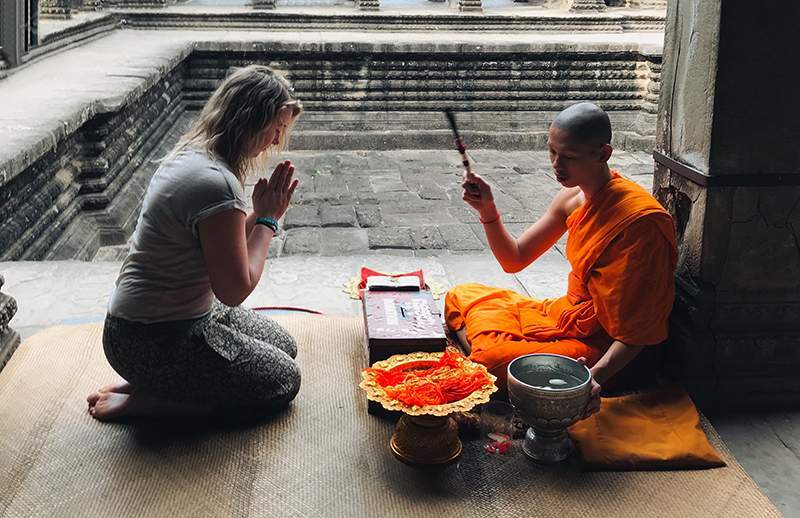 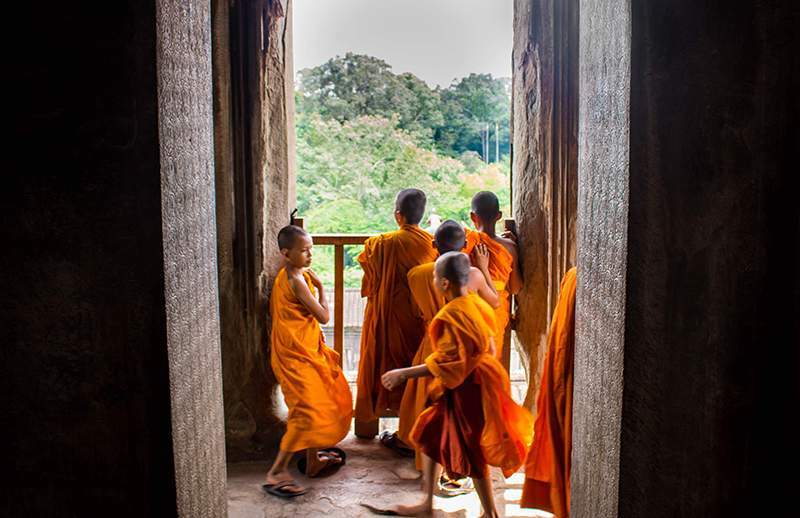 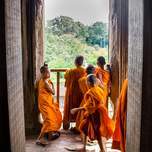 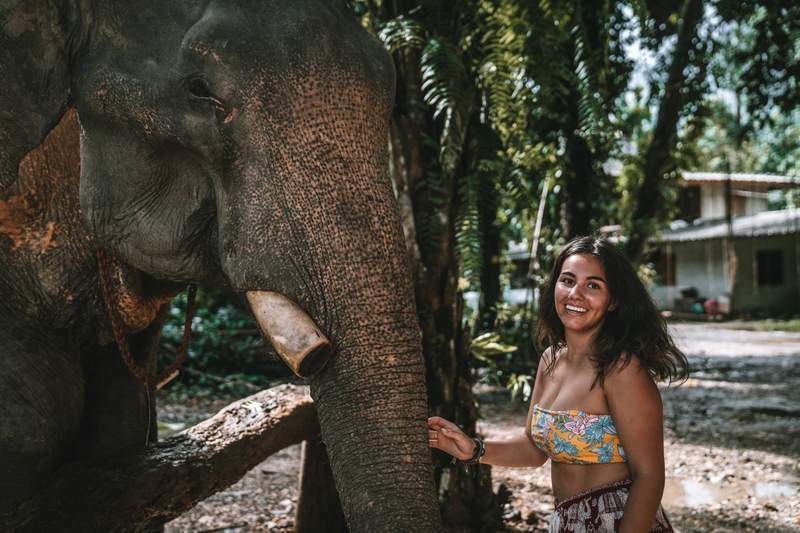 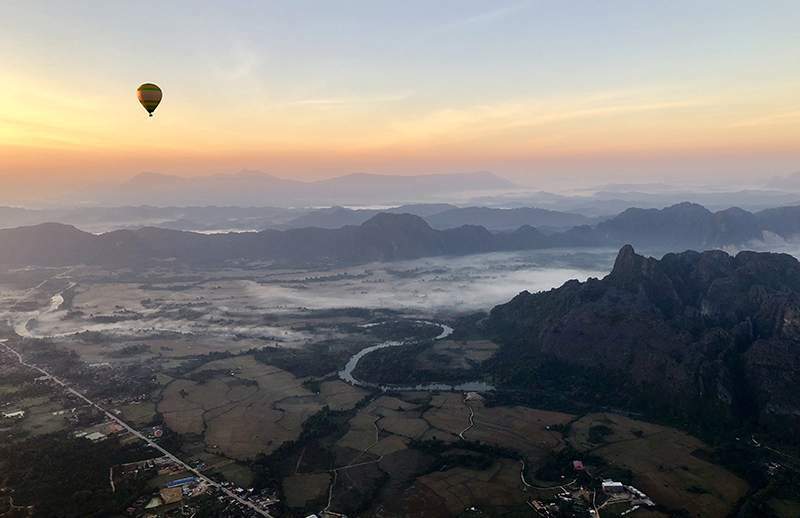 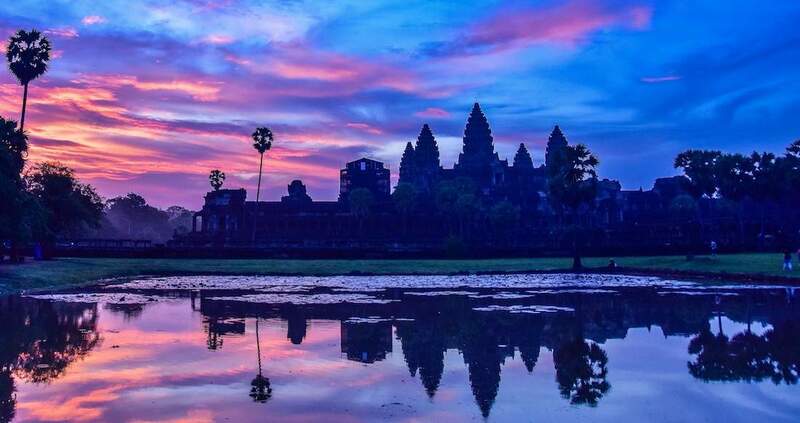 Taking you to the definitively best spots according to the season, our 10-day trips to Thailand will ensure you get to see, feel, touch, smell and hear all the gloriousness of this incredible country. 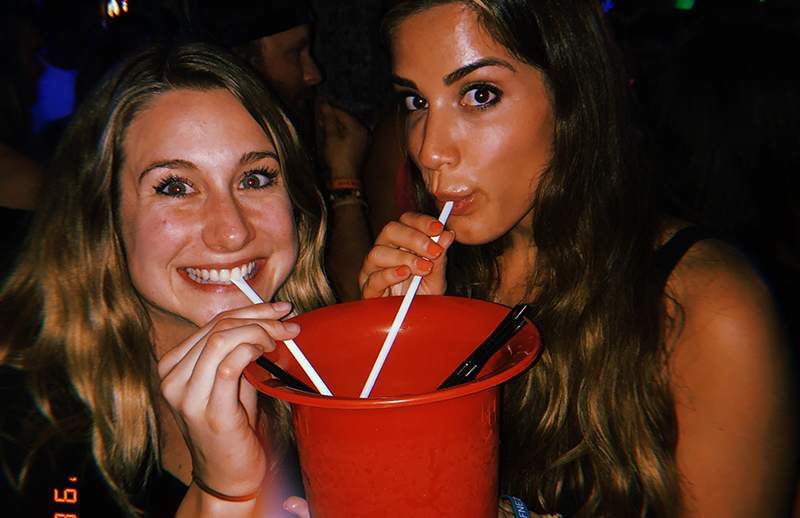 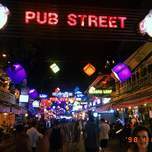 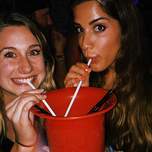 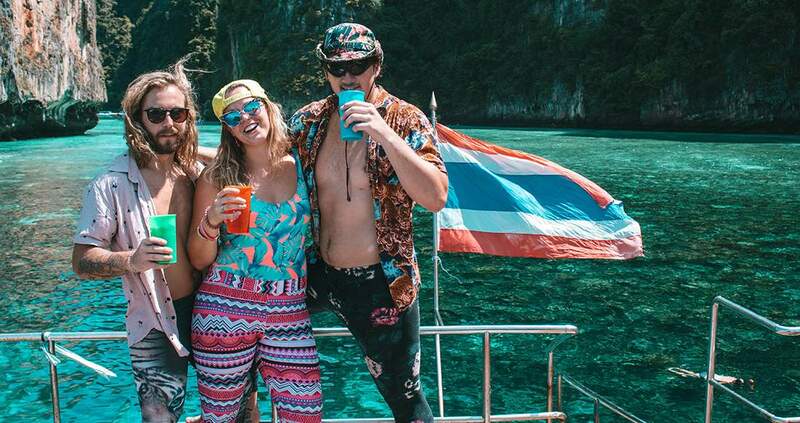 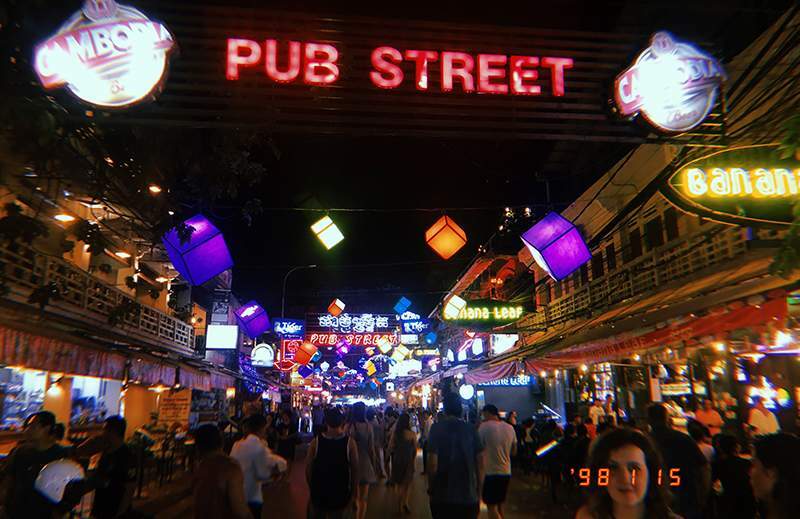 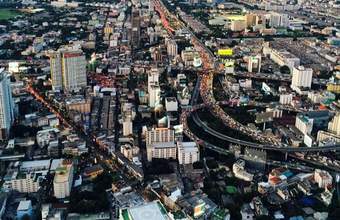 Live it up in Bangkok, buy everything you could possibly desire and get a little (or a lot) crazy in its notorious nightlife scene. 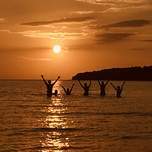 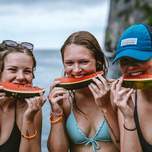 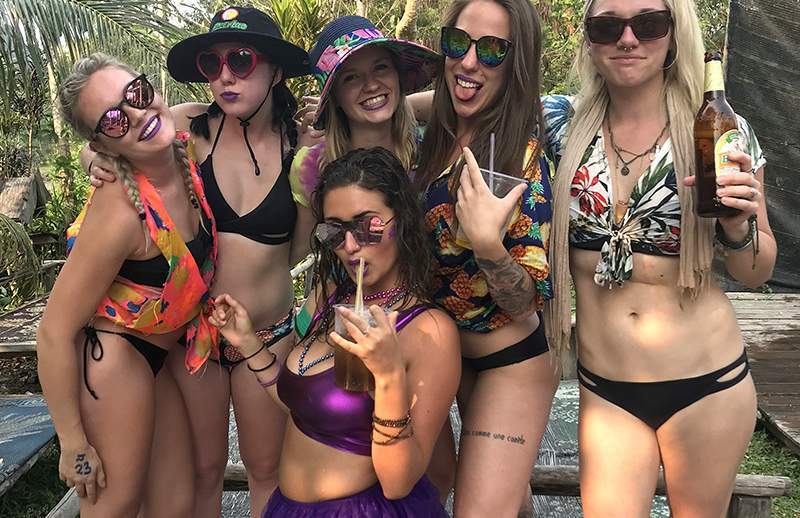 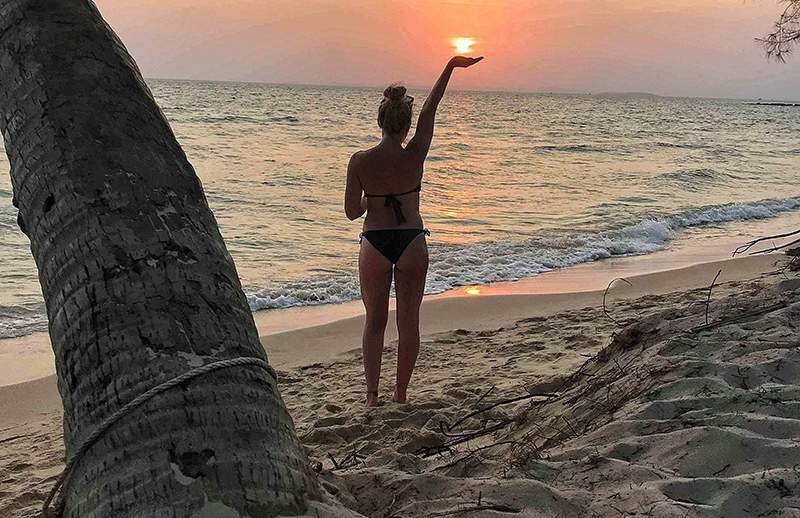 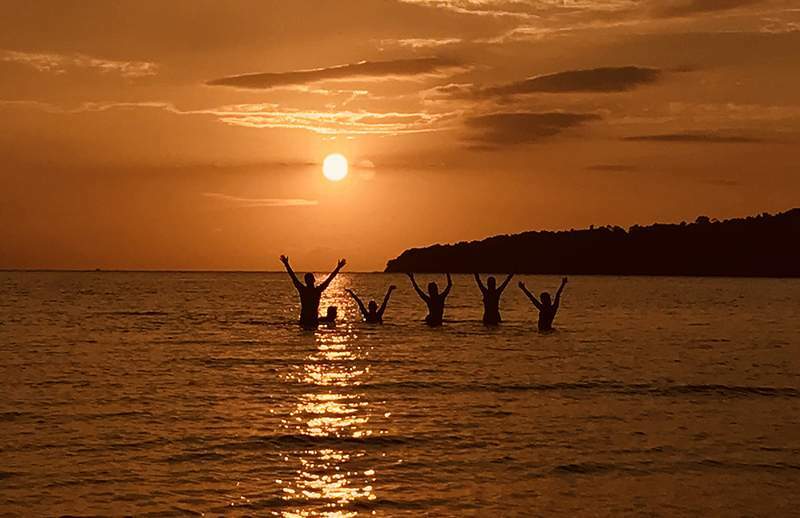 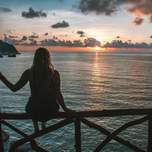 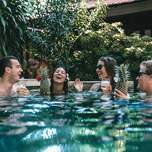 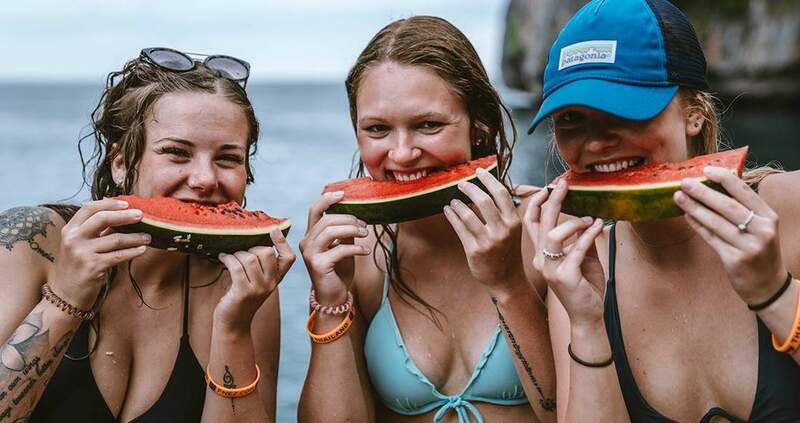 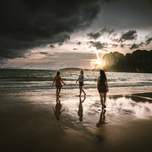 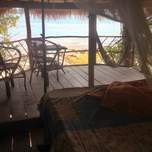 Travel to the southern islands, relax all-day in hammocks or on your sarong on the soft sand and perhaps get crazy again at wild beach parties that always seem to take you right to a beautiful sunrise before finally crawling into bed. 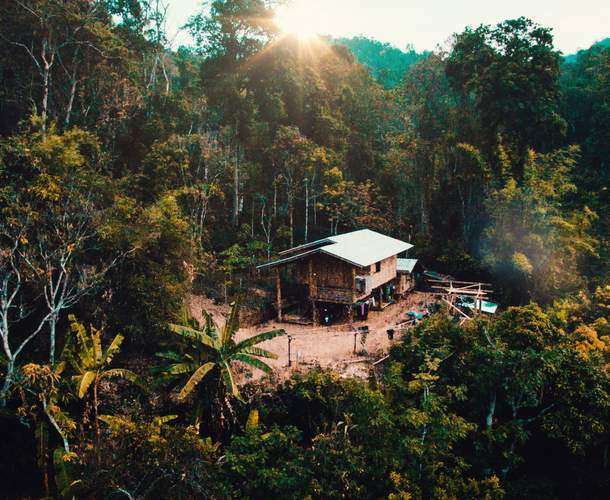 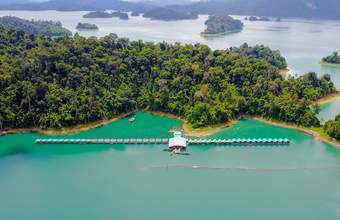 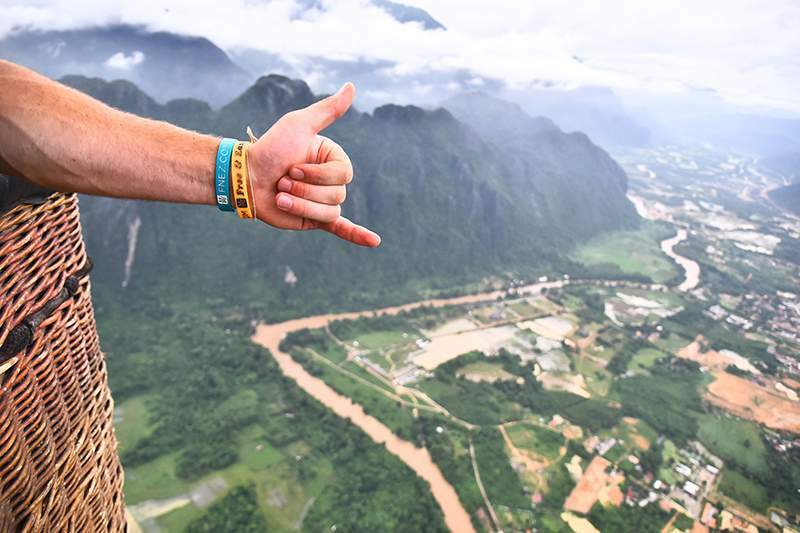 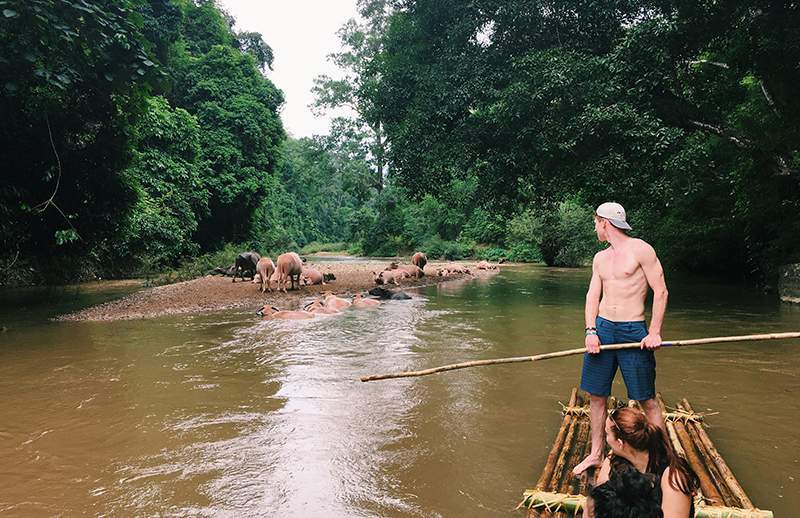 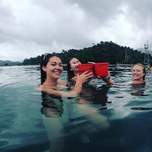 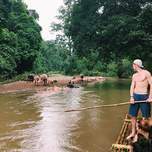 Venture deep into the jungle and spend a night on a lake house floating in the middle of a national park, stare up at the towering limestone cliffs surround dense rainforest and listen to the call of gibbons monkeys and exotic birds. 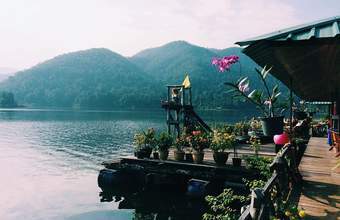 Each day, wake up to something new and uniquely Thailand. 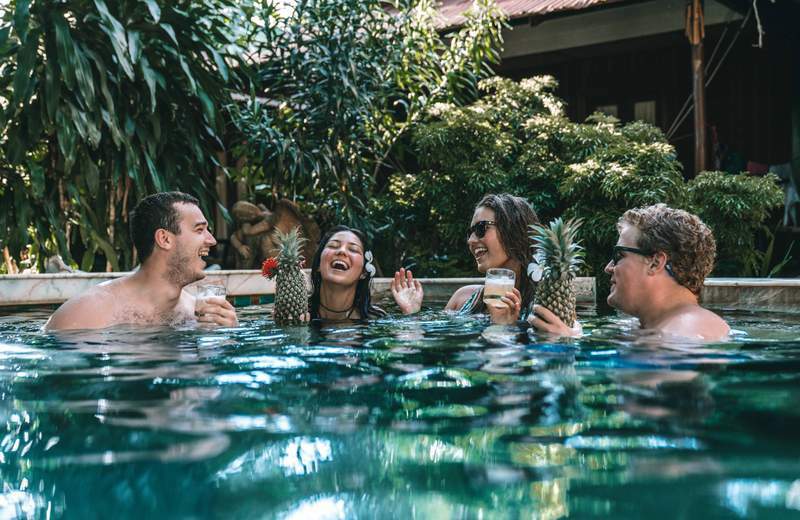 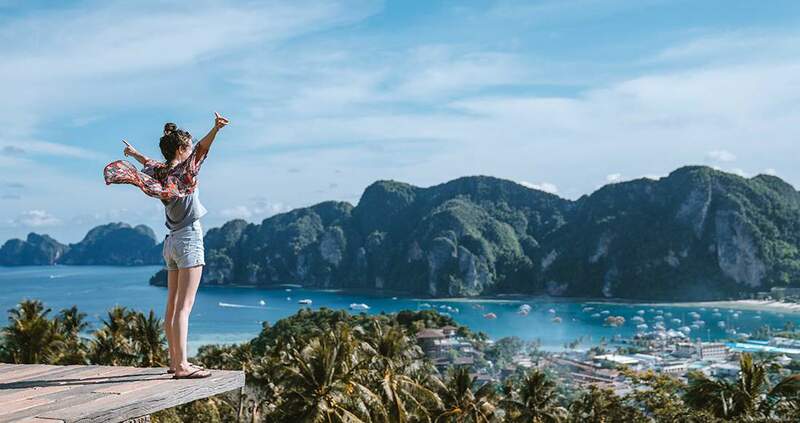 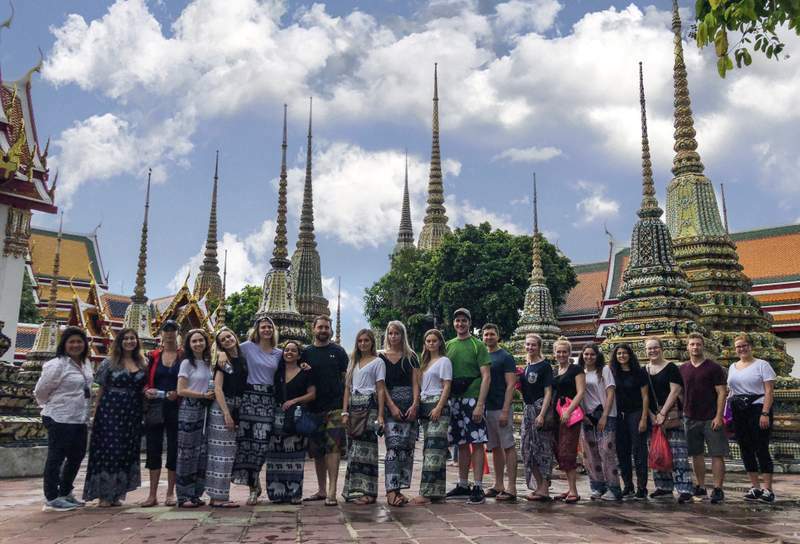 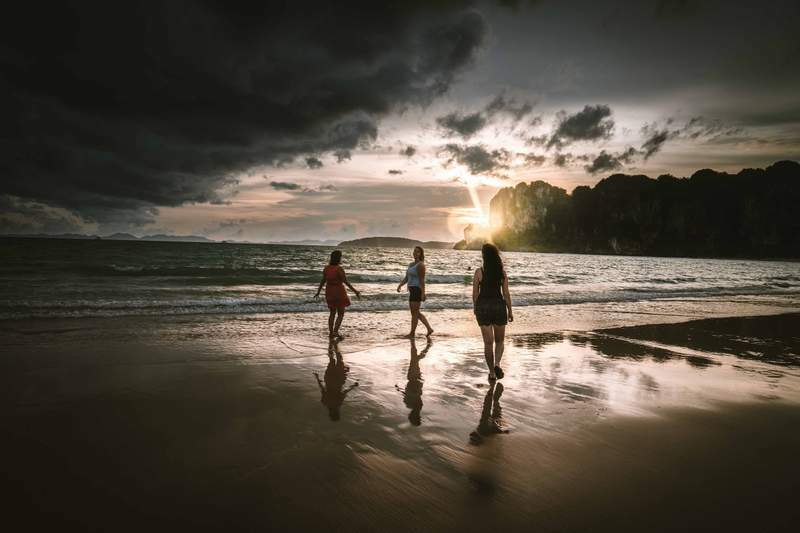 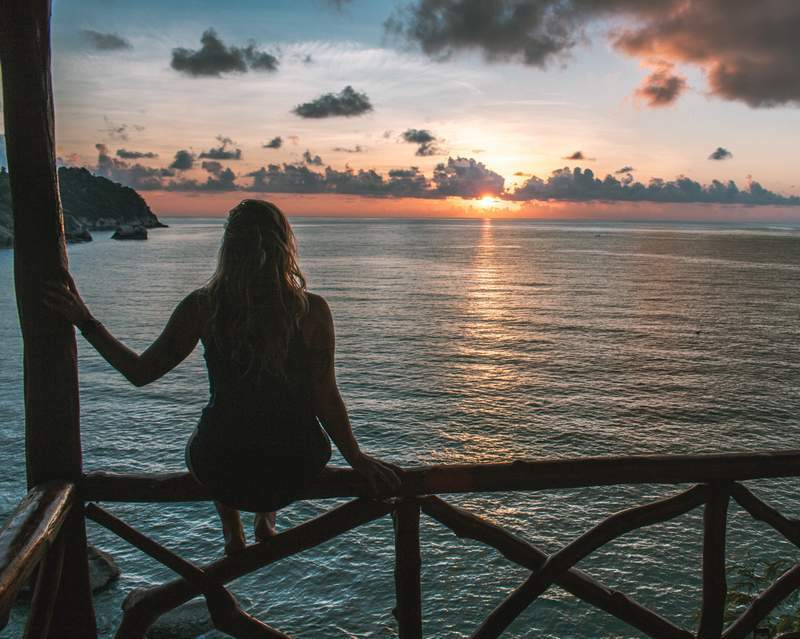 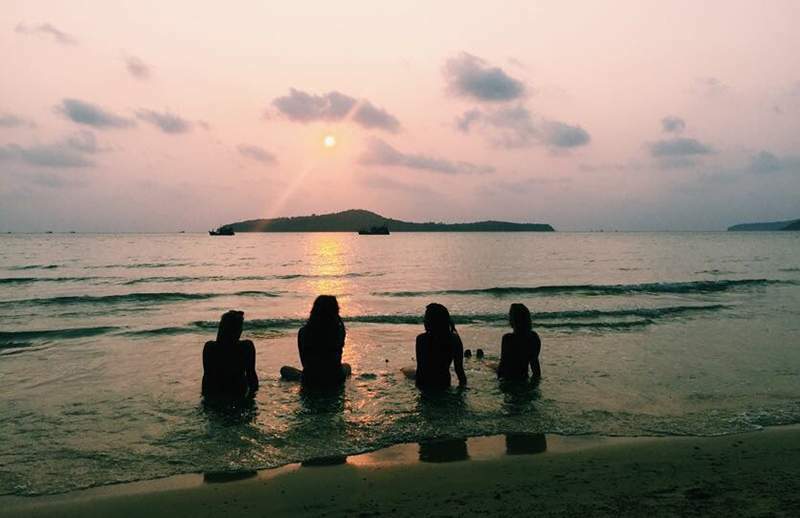 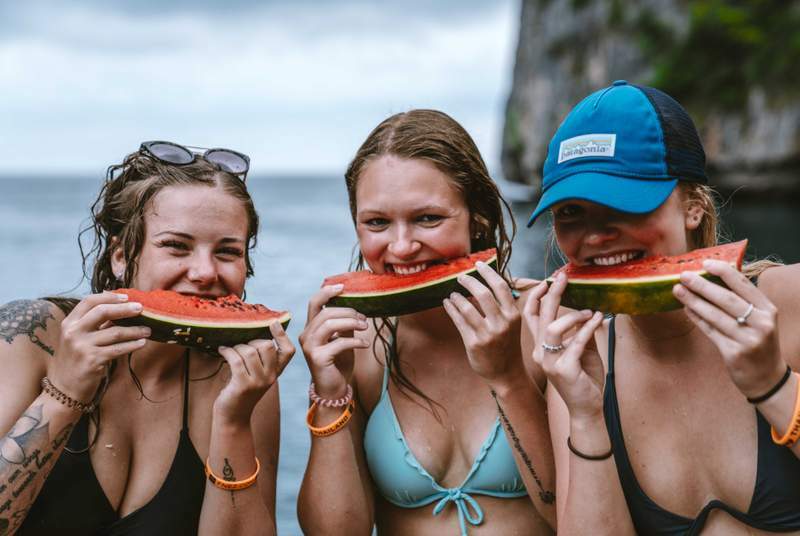 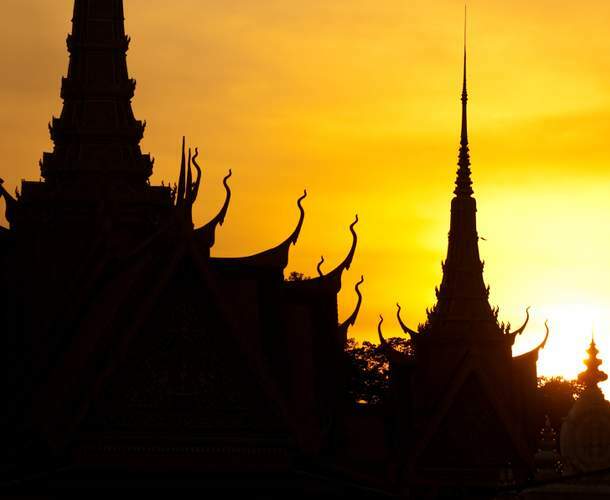 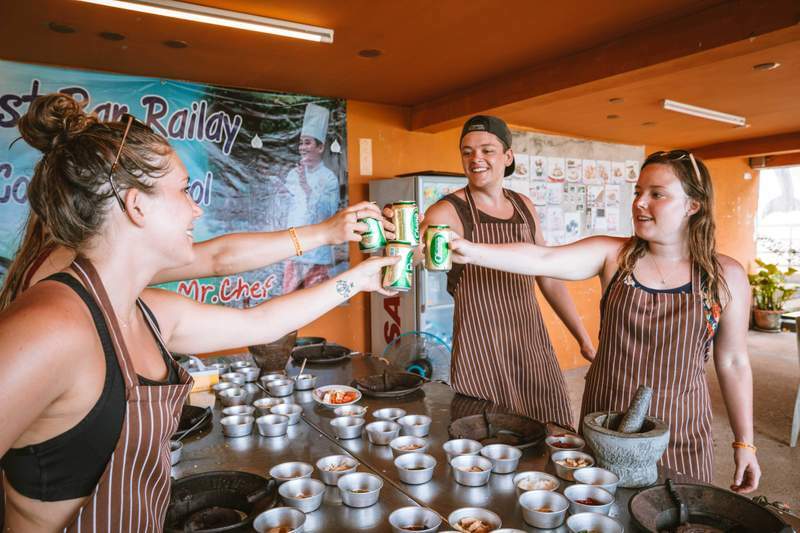 From the Buddhist culture to its unrivalled cuisine to the characteristic smile of its locals, every last second spent in Thailand is one to remember! 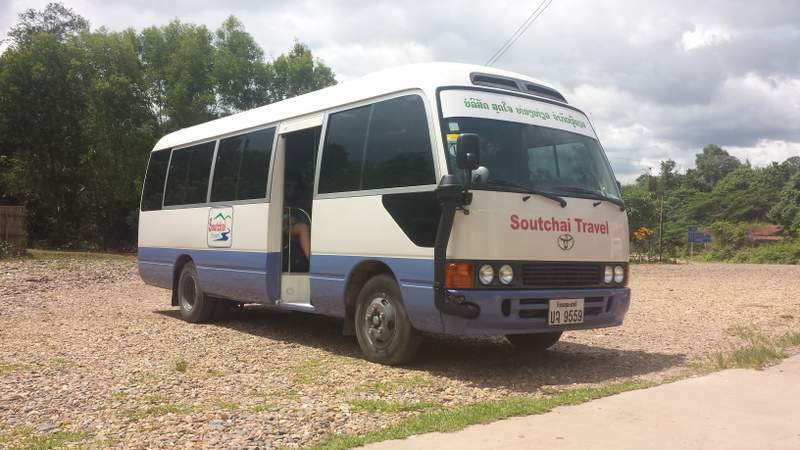 When the train arrives in Surat Thani in the morning, we will take private bus to Ratchaprapha Pier. 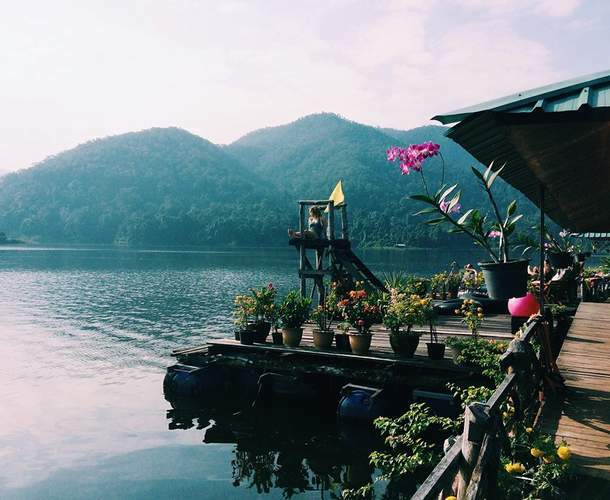 Continue by long-tail boat out to the floating bungalows deep in the wild of Cheow Lan Lake. 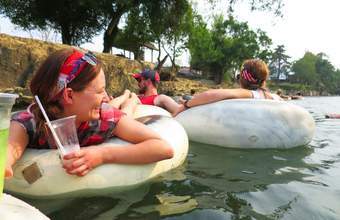 Enjoy lake living in a floating bungalow with a restaurant, bar, kayaks, floaties, and beverages all at your disposal. 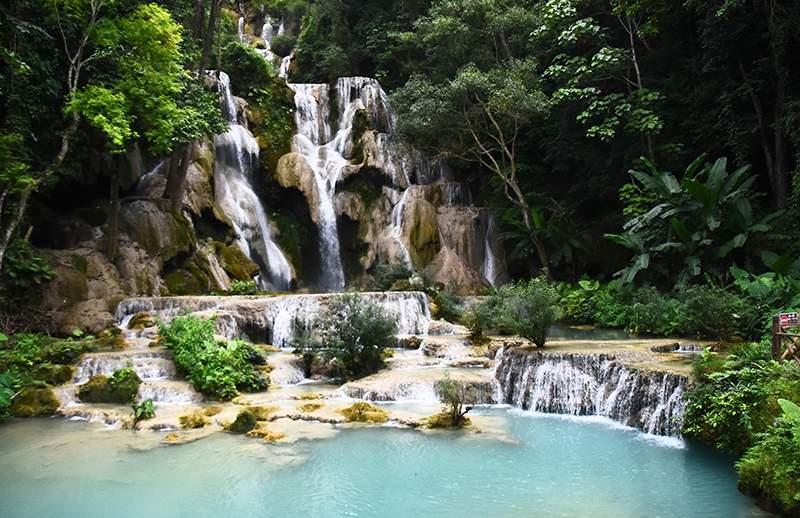 There are even nearby hikes to caves and waterfalls. 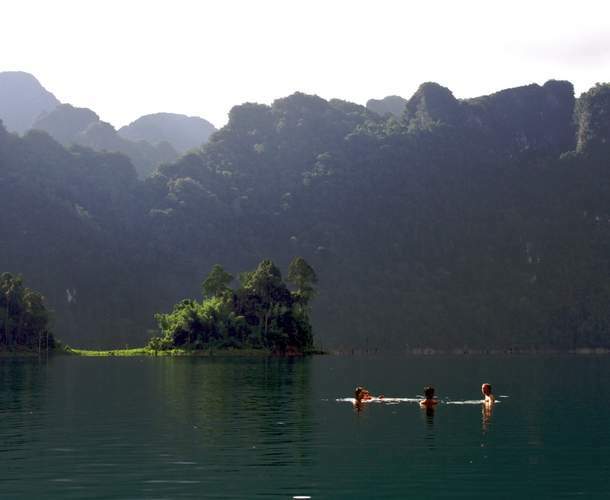 This floating haven is consistently our top rated destination. 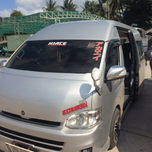 Take ferry to Krabi town and take minibus to Krabi airport and take a speedy one hour flight to Bangkok. 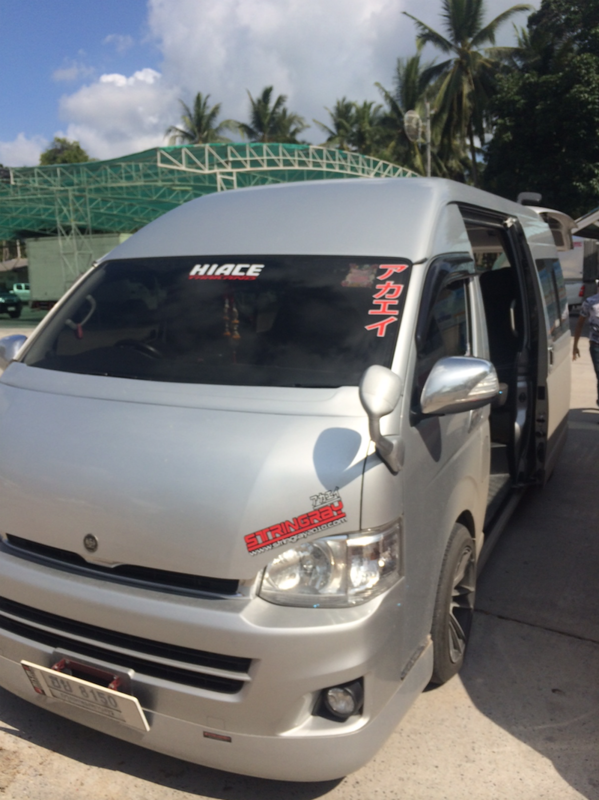 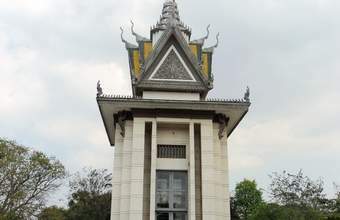 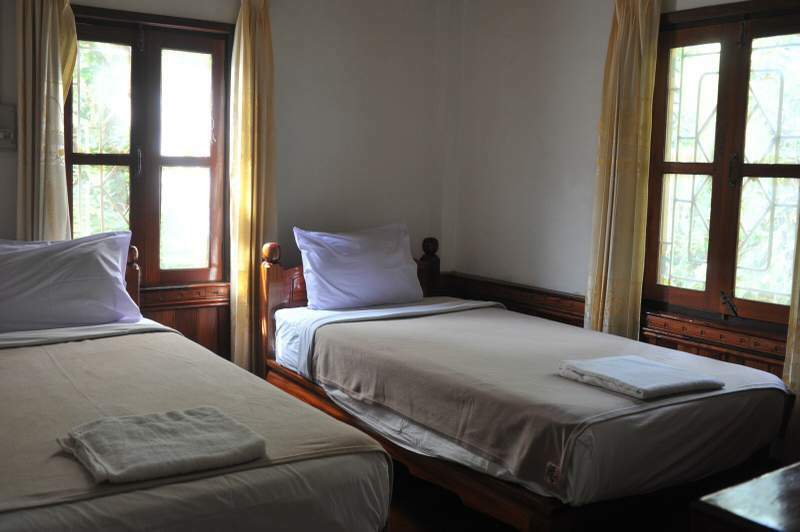 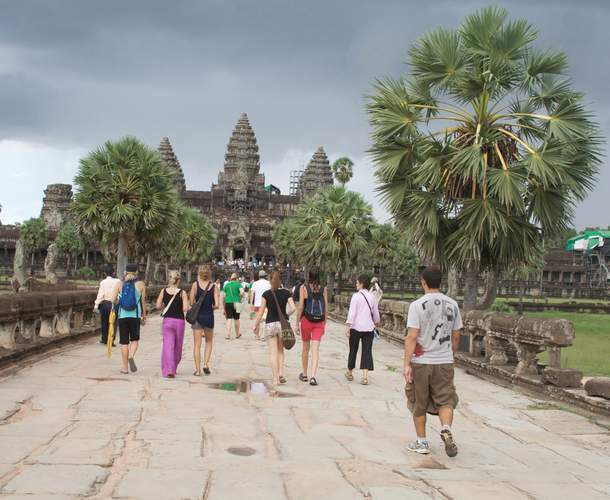 Arrive at the airport and take minibus to the guesthouse. 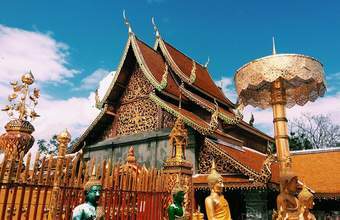 Enjoy the last days in Bangkok exploring, shopping, eating, drinking and countless other activities in this cosmopolitain city. 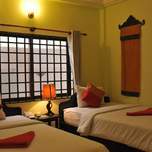 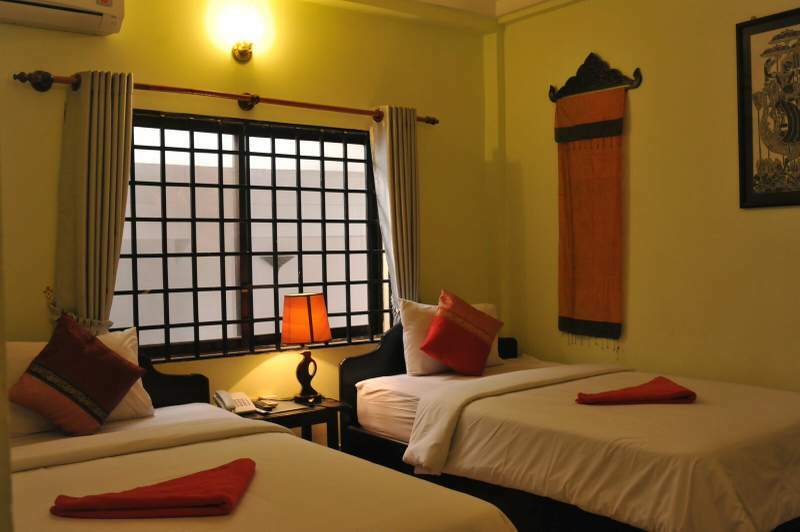 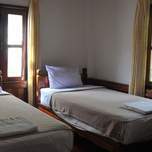 Thailand 8-10-Day — Hotel style room located in Bangkok, a/c, private bath, wi-fi and a restaurant located in the main area. 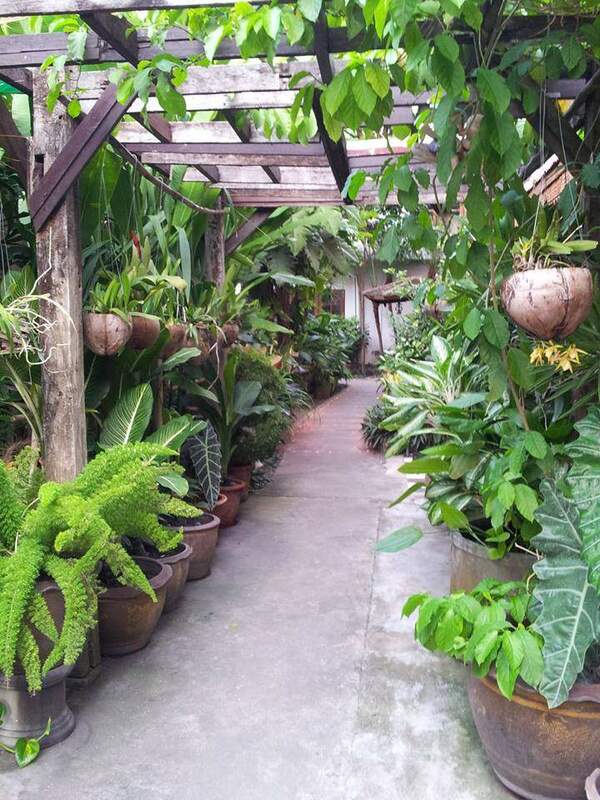 Thailand 8-10-Day — Main area at our guest house in Bangkok. 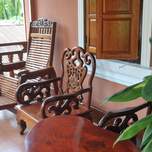 Restaurant, computers and chairs to just hang out and lounge! 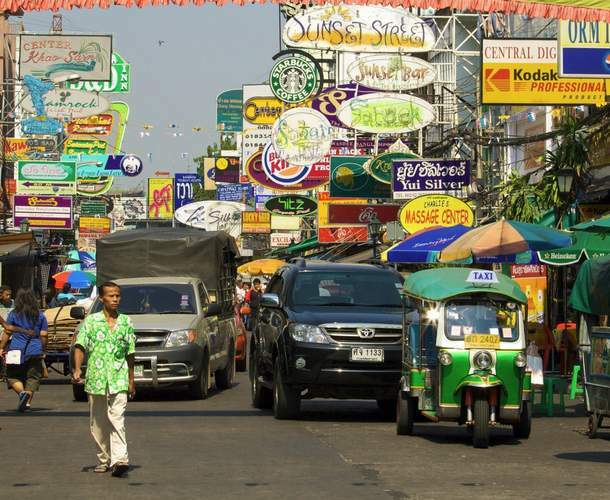 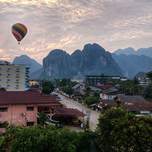 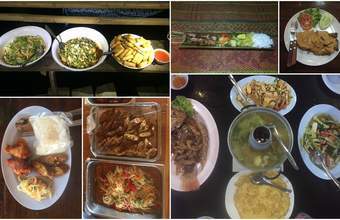 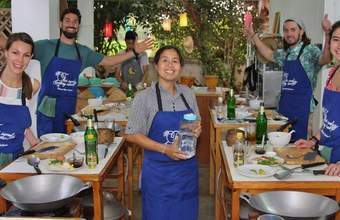 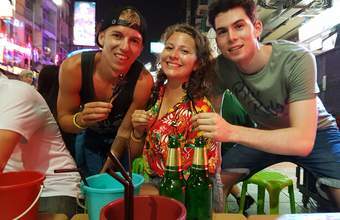 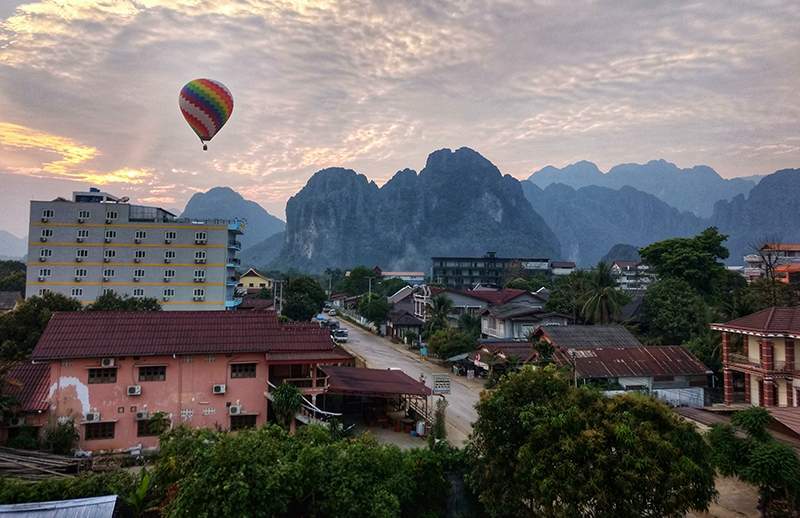 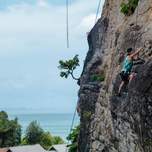 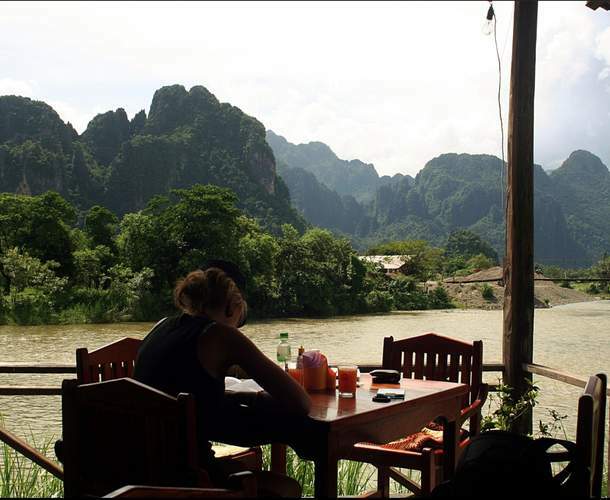 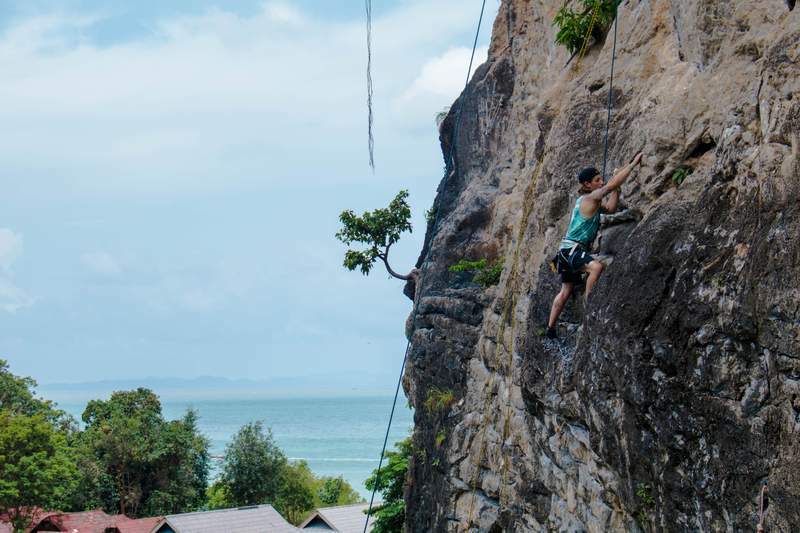 Thailand 8-10-Day — We use shared dorm room style for just this stop. 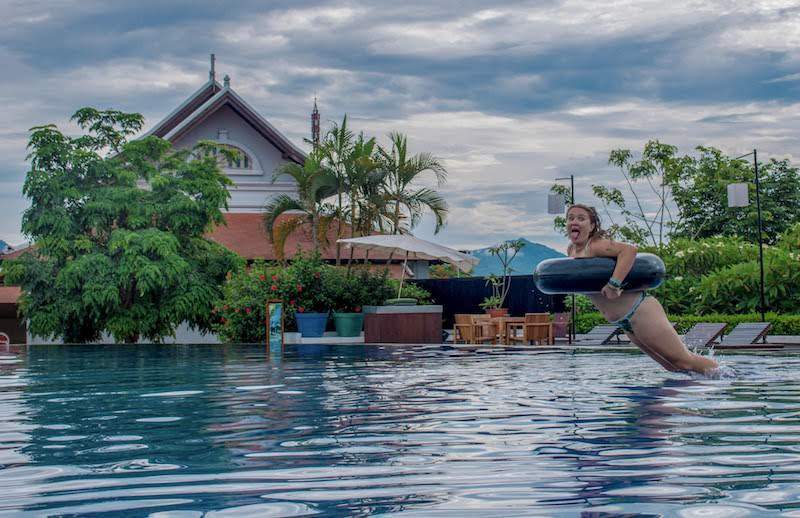 Thailand 8-10-Day — This hostel has a wicked pool with a beautiful view. 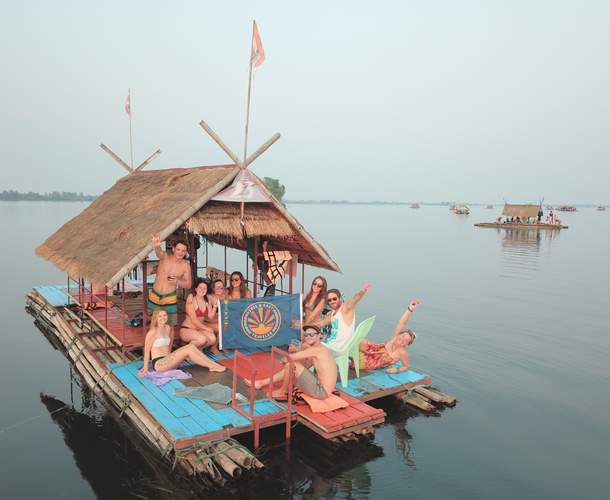 Thailand 8-10-Day — Spend a night on these floating bungalows! 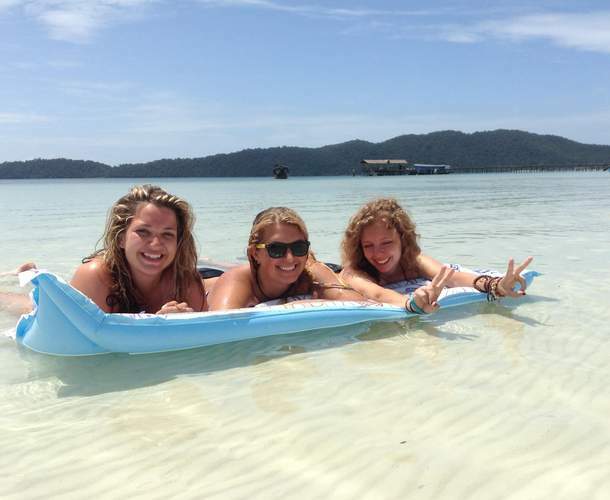 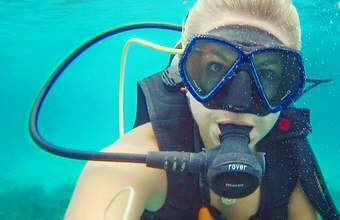 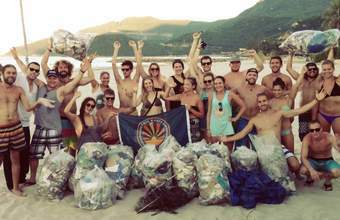 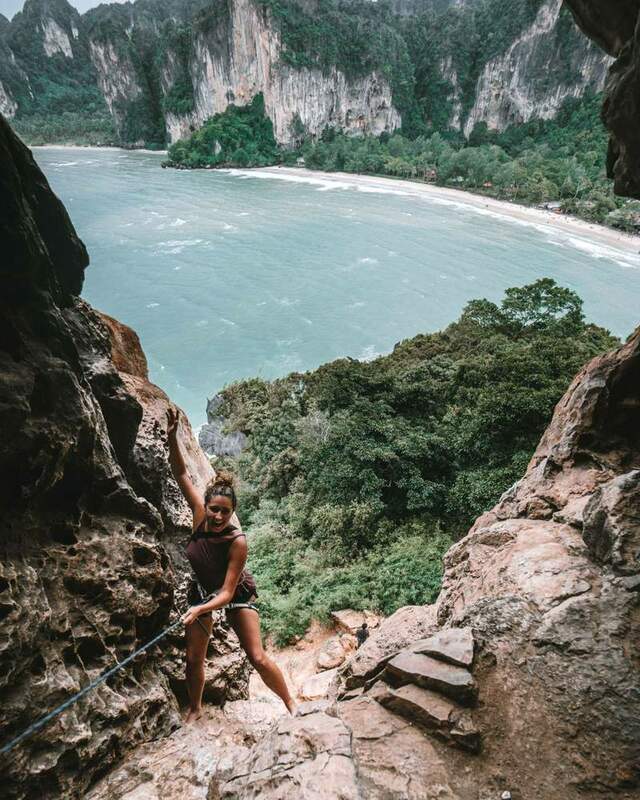 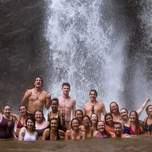 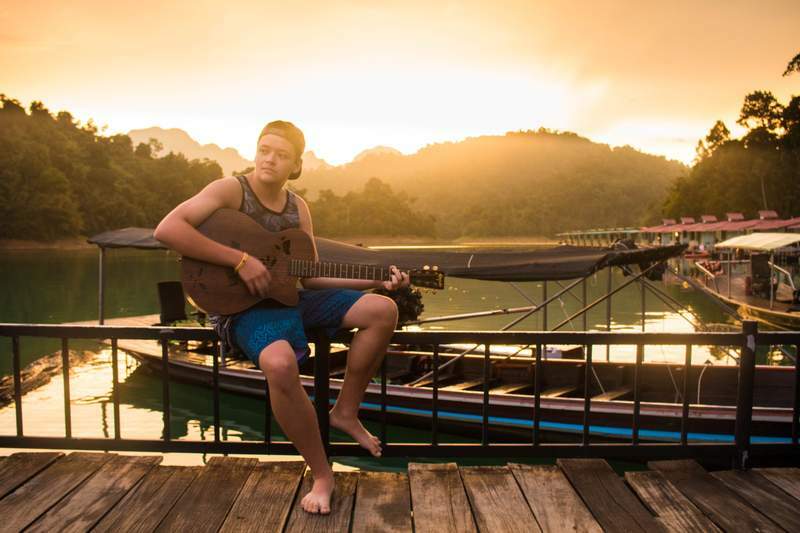 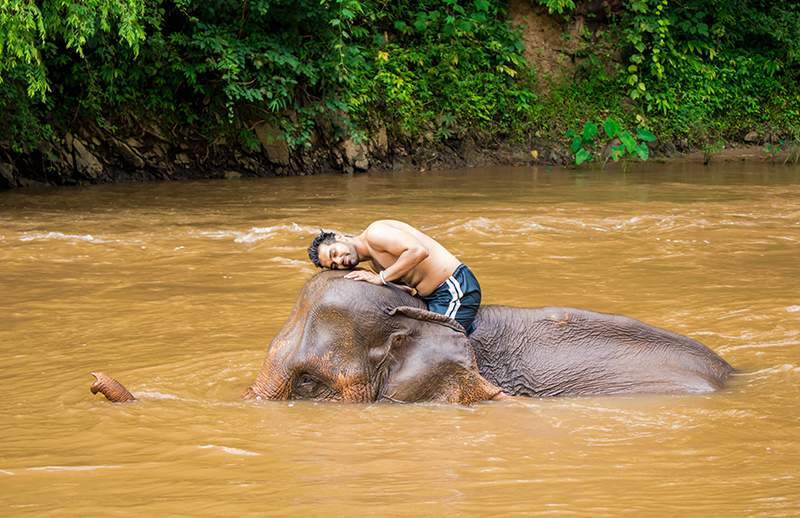 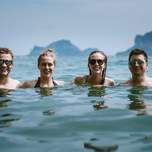 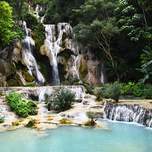 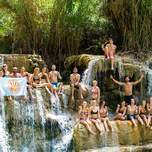 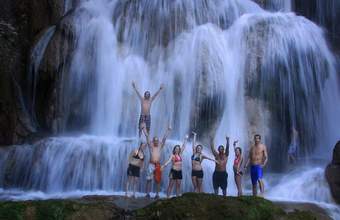 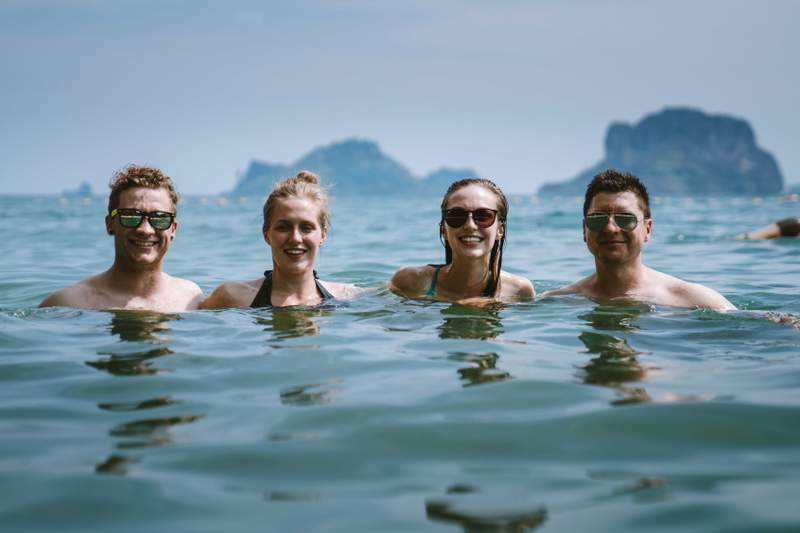 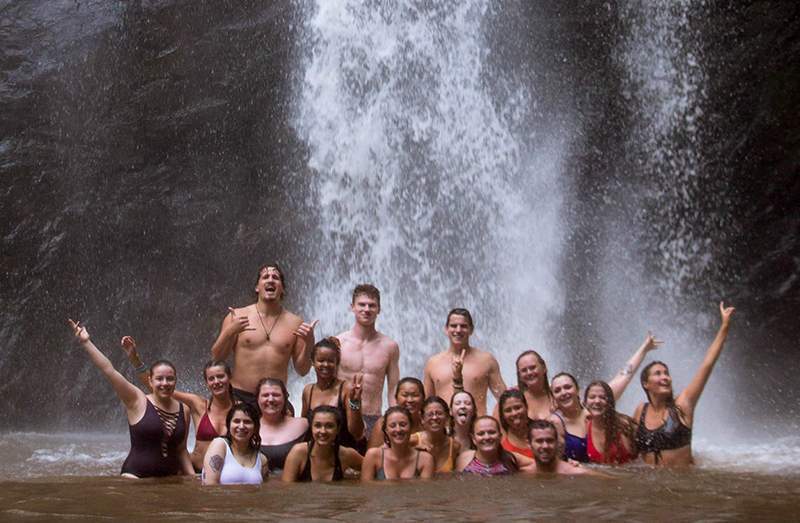 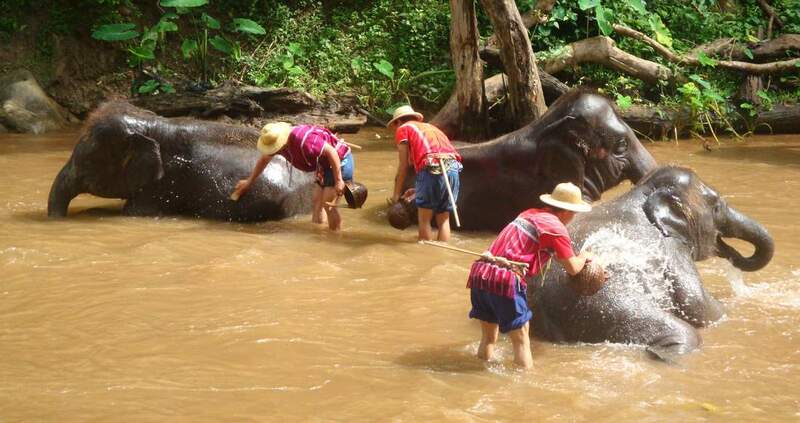 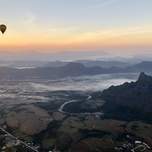 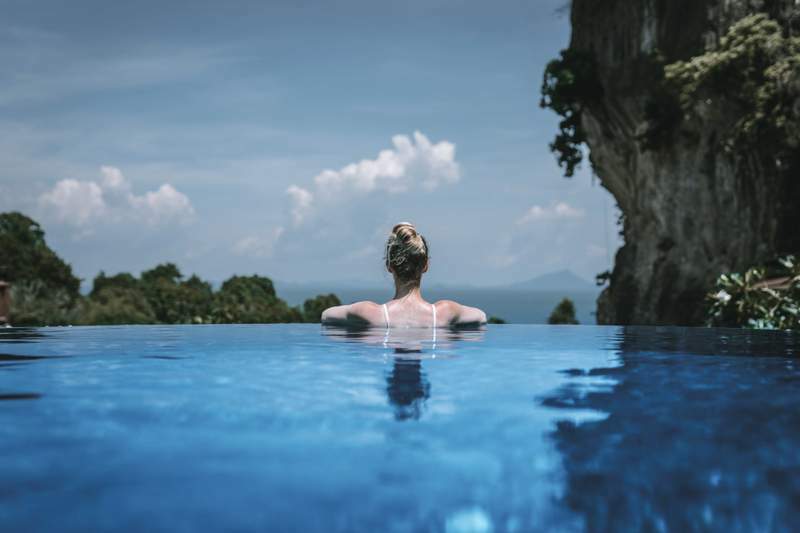 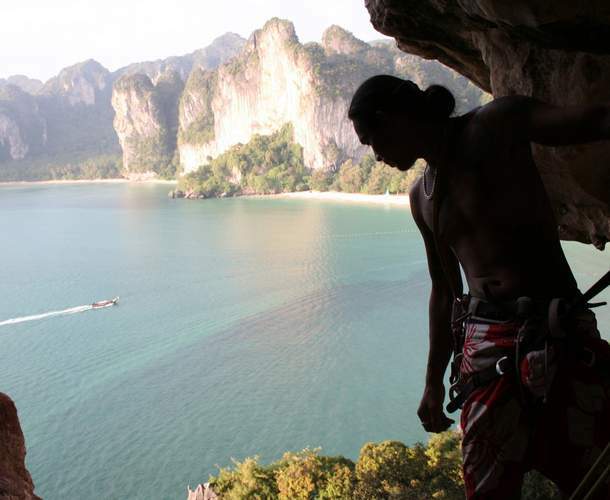 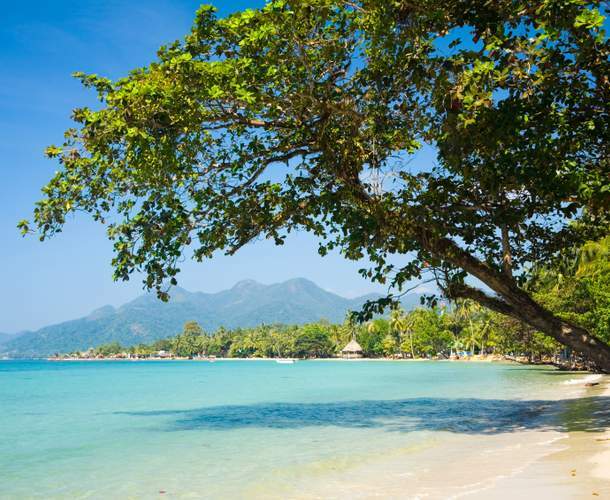 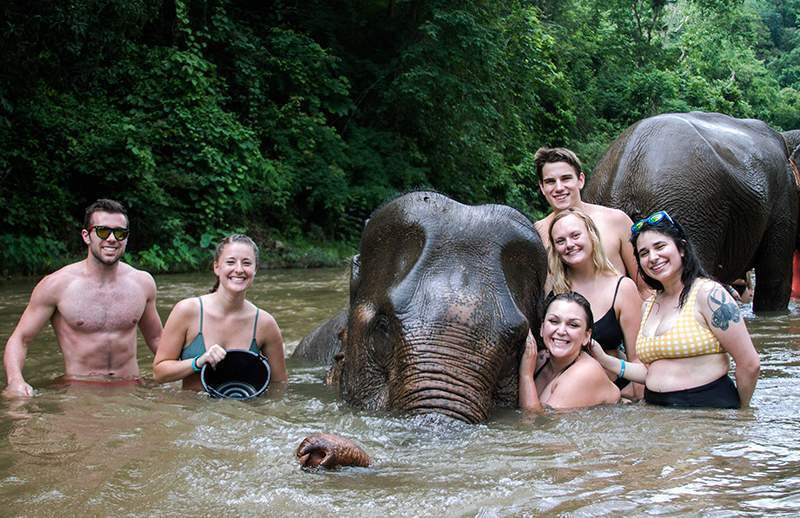 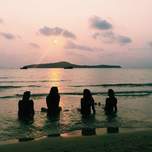 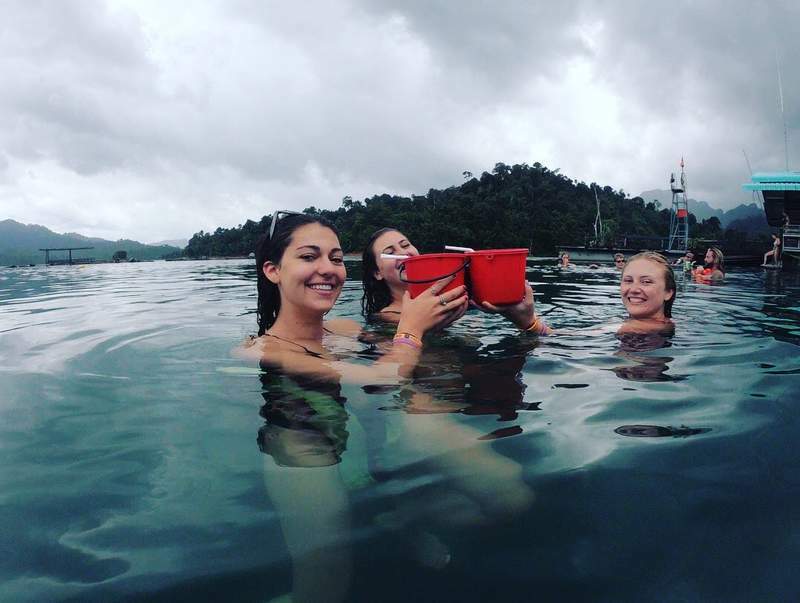 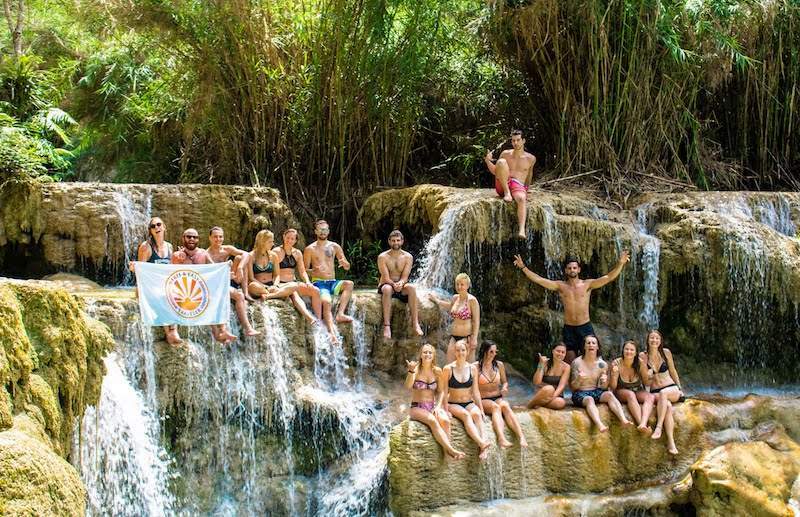 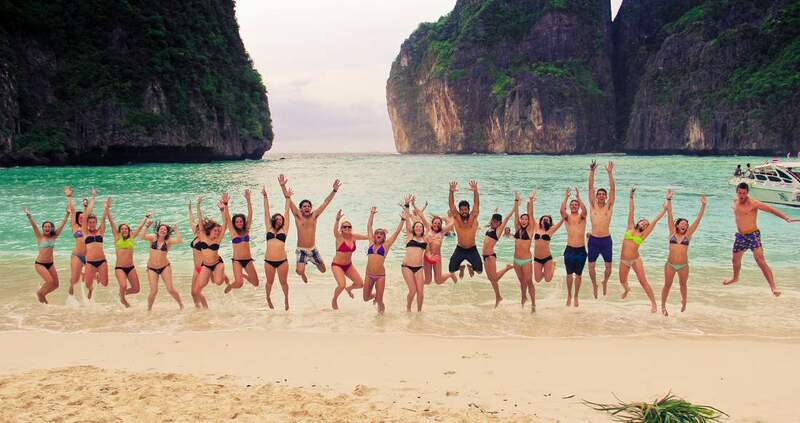 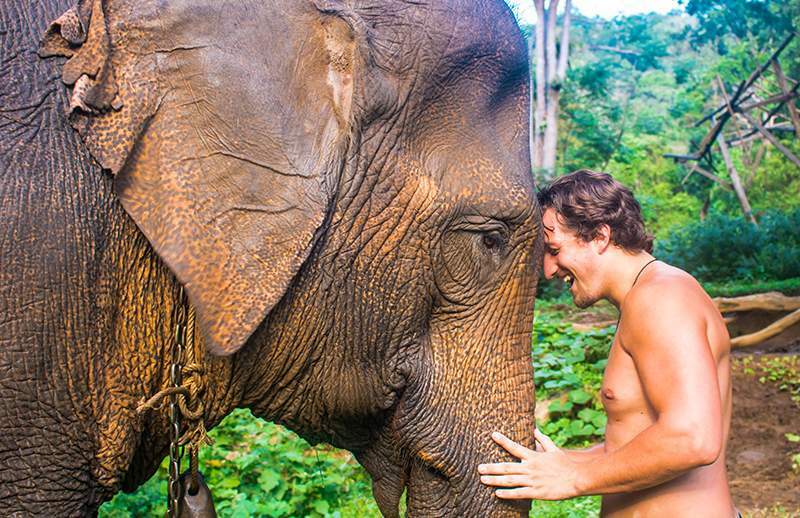 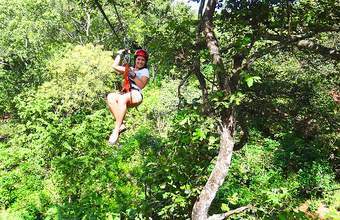 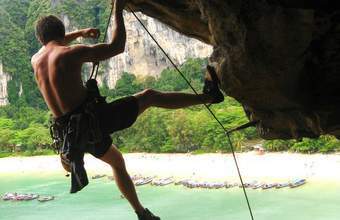 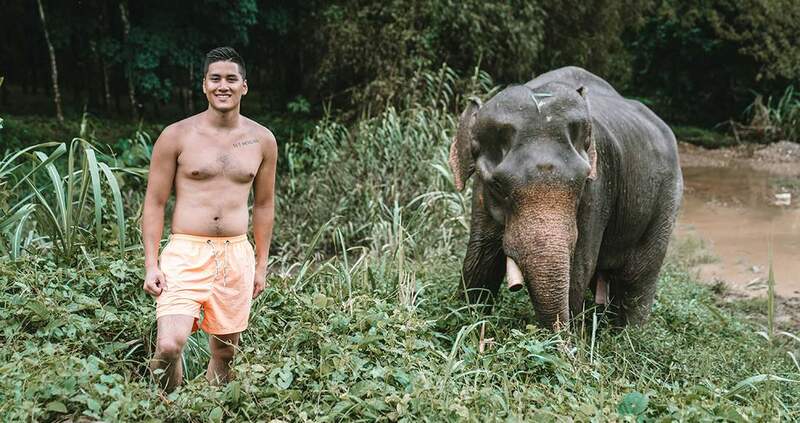 Thailand 8-10-Day — Jump out your bedroom door and into clear fresh water! 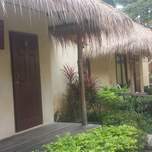 Private bath, restaurant and solitude! 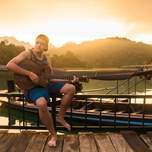 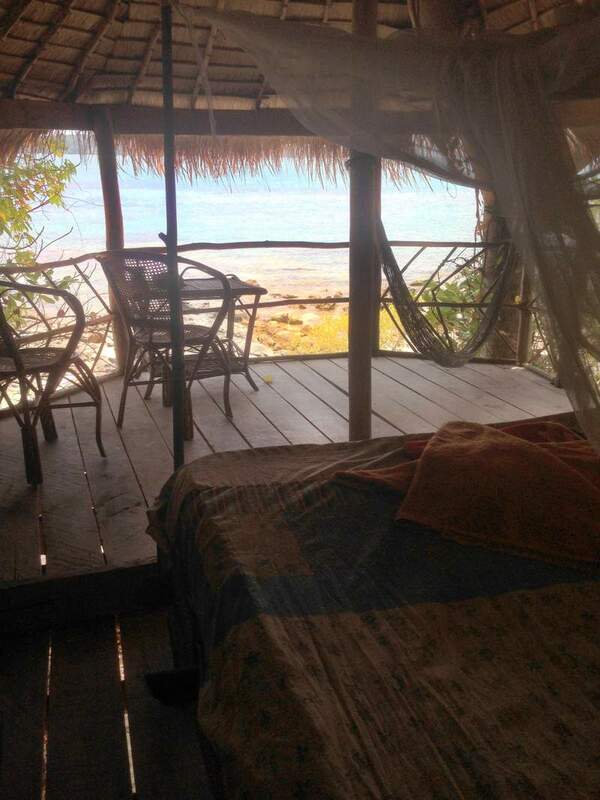 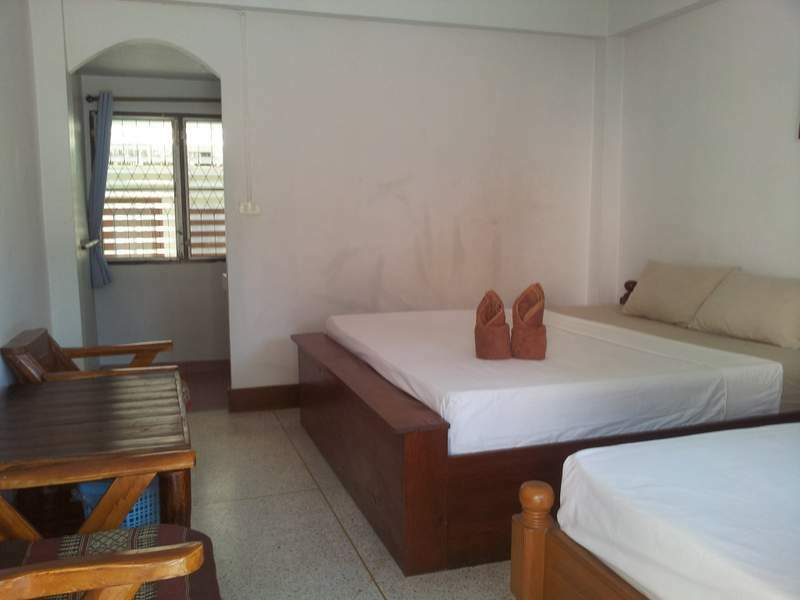 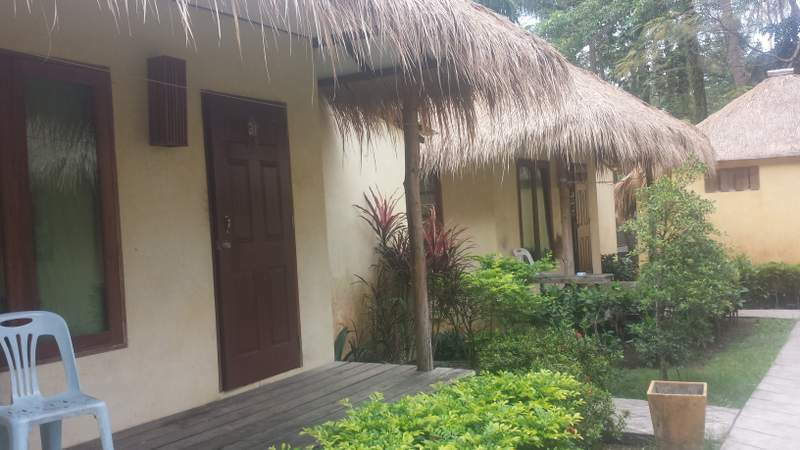 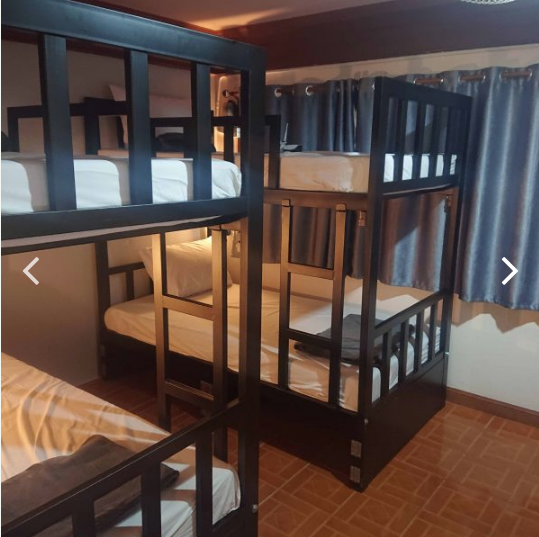 Thailand 8-10-Day — Bungalows located in Koh Phi Phi. 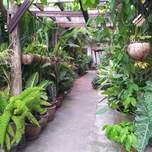 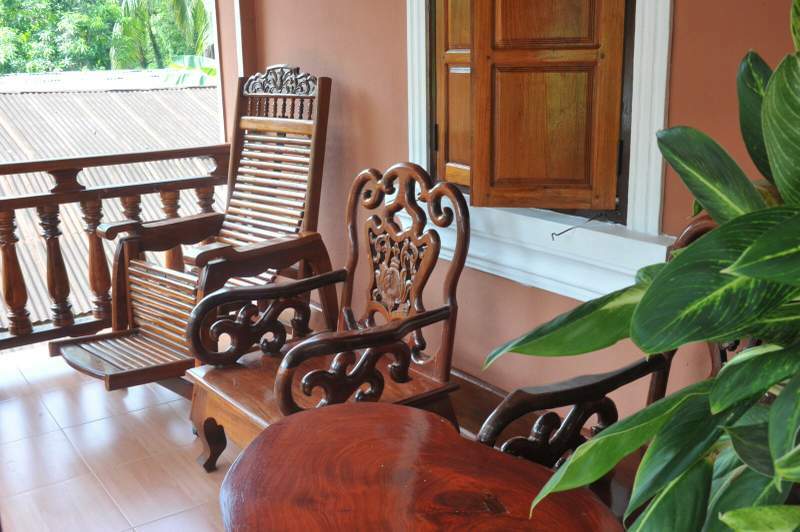 Thailand 8-10-Day — Private Bath, fan, balcony, wi-fi, and a restaurant and pool just a few steps away. 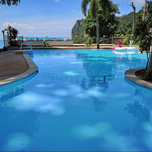 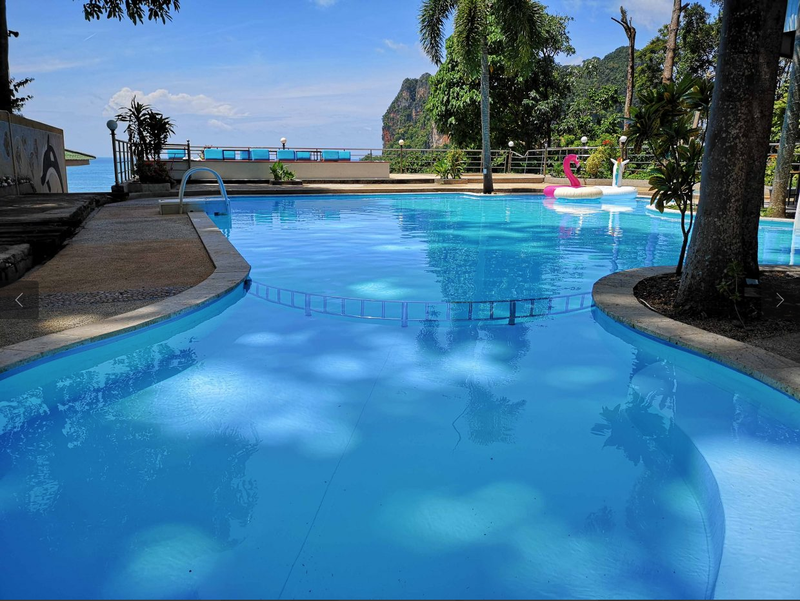 Thailand 8-10-Day — Enjoy a refreshing dip in the pool with a swim up bar/restaurant! 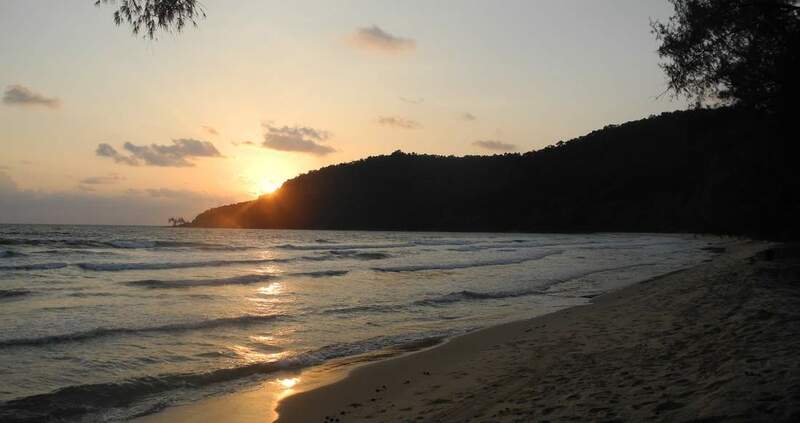 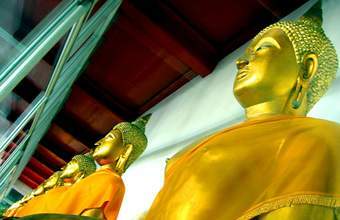 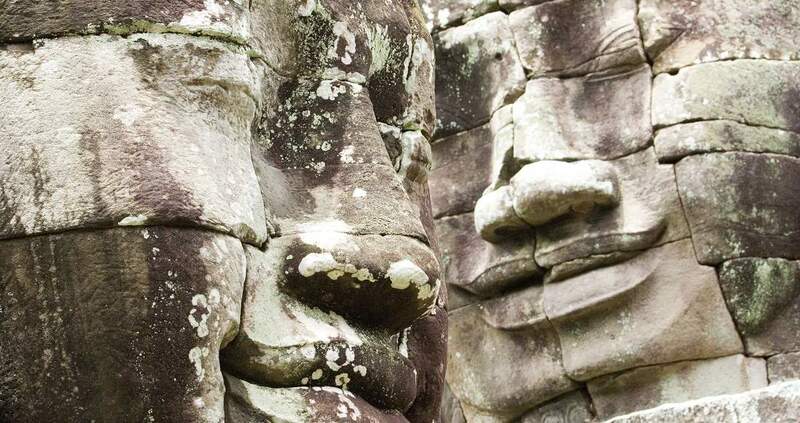 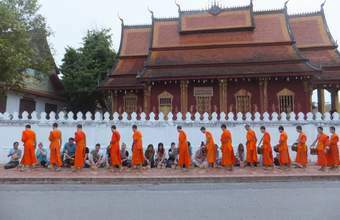 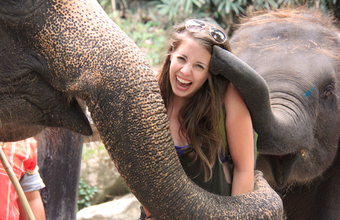 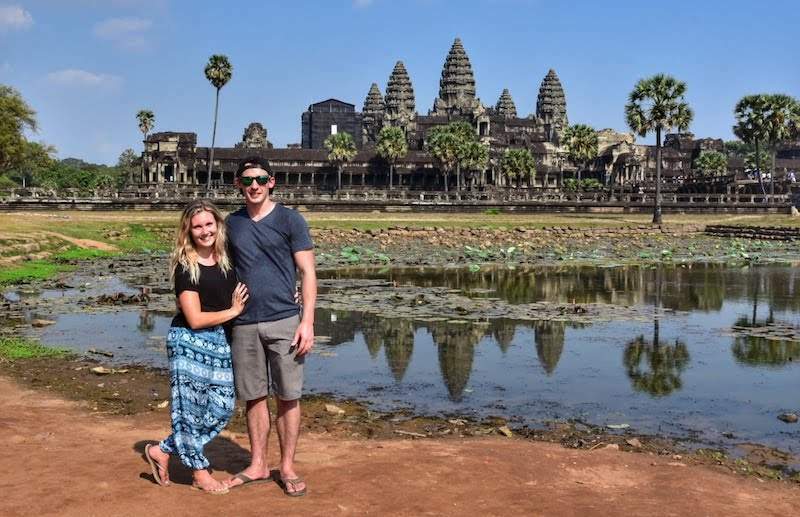 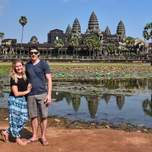 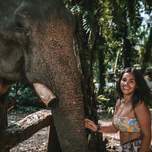 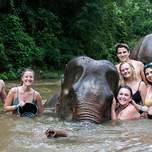 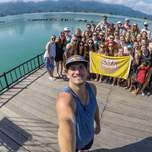 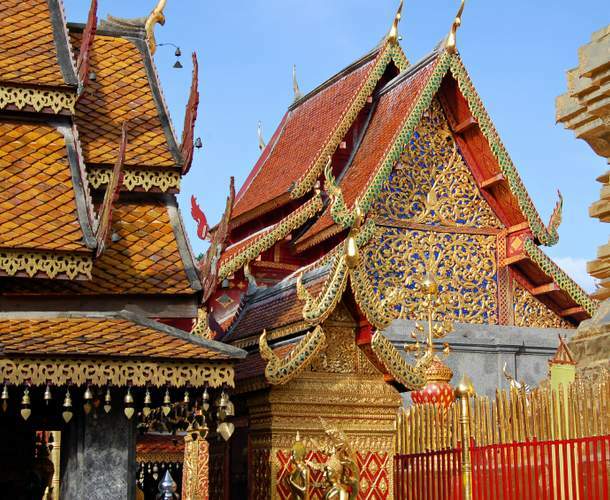 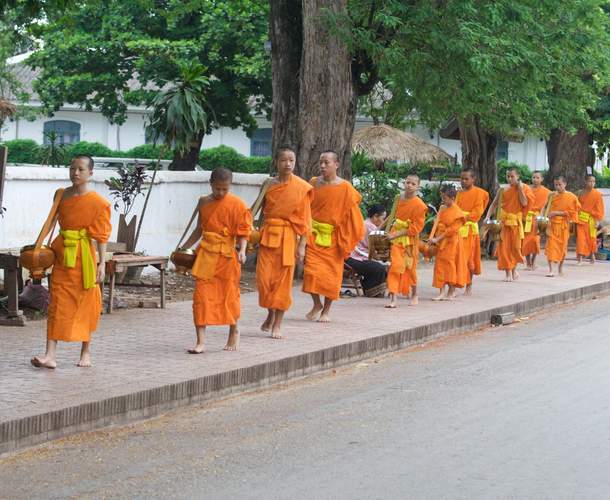 Thailand 8-10-Day — Fall asleep on the night train and wake up in Southern Thailand! 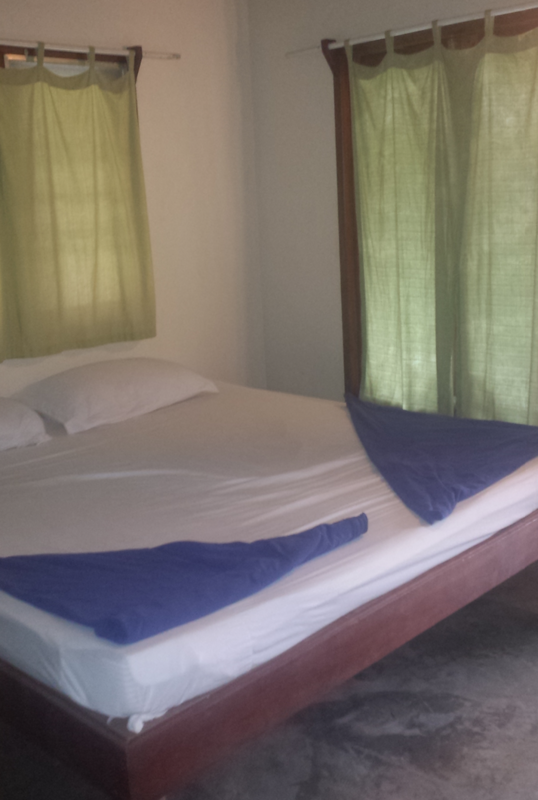 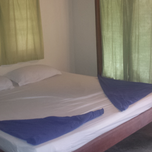 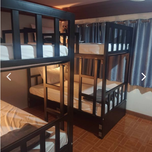 Bunk bed style single beds (includes bedding), a/c, public washroom, restaurant. 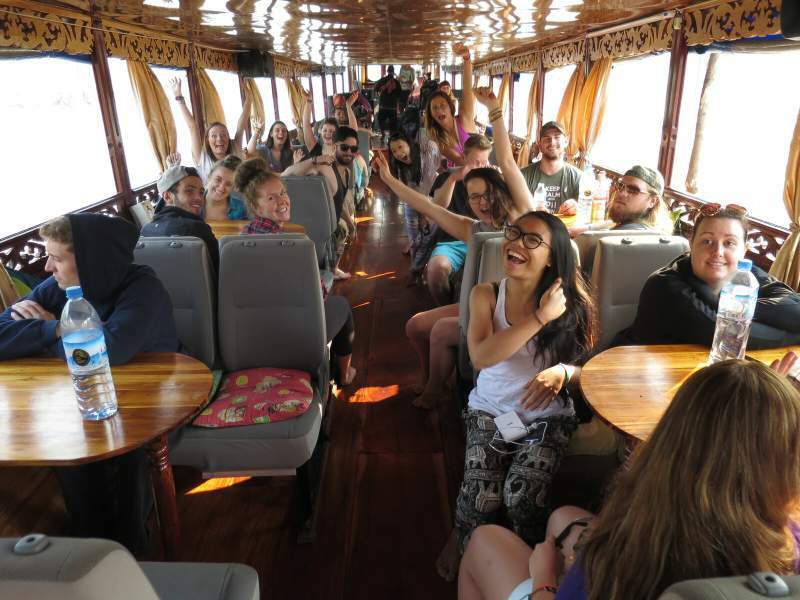 Thailand 8-10-Day — 15 person long tail boat, perfect for crossing small distances of water. 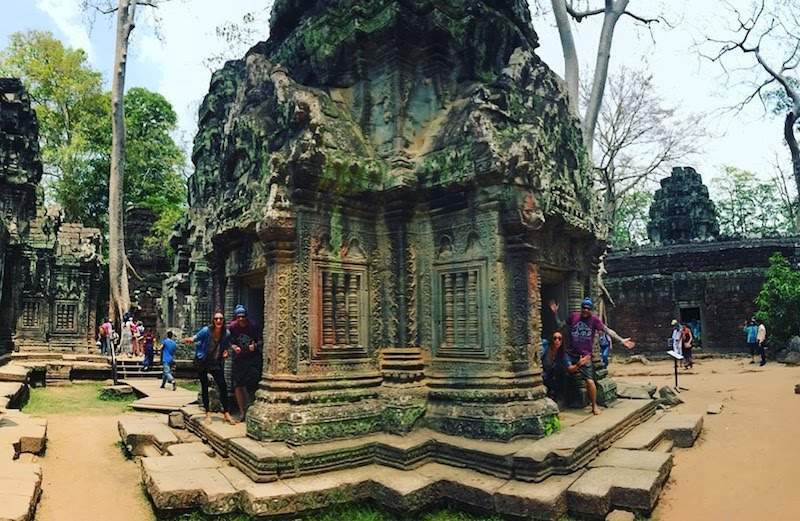 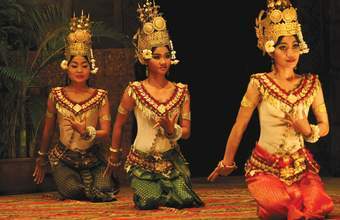 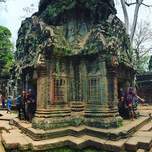 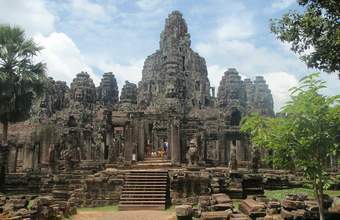 Thailand 8-10-Day — A glorified stage coach! 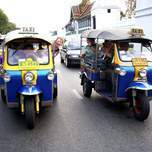 Tuk tuks will zip you around for cheap, and if you're lucky enough some have lights and music to dance to while travelling! 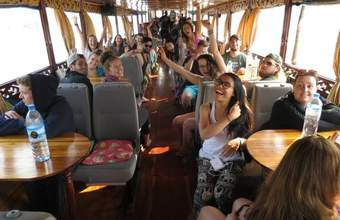 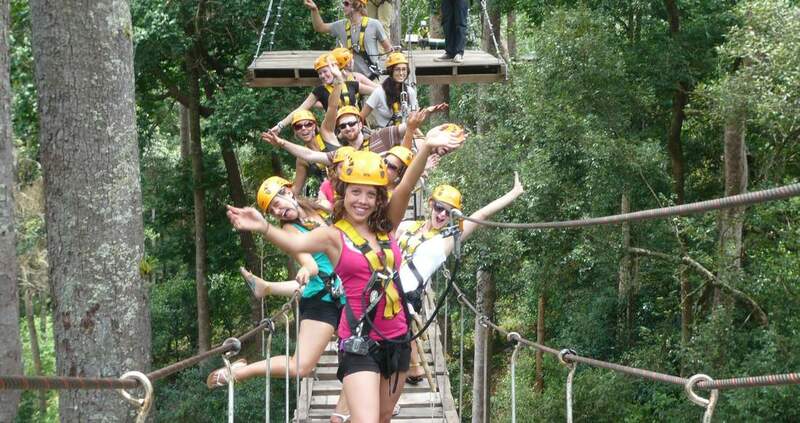 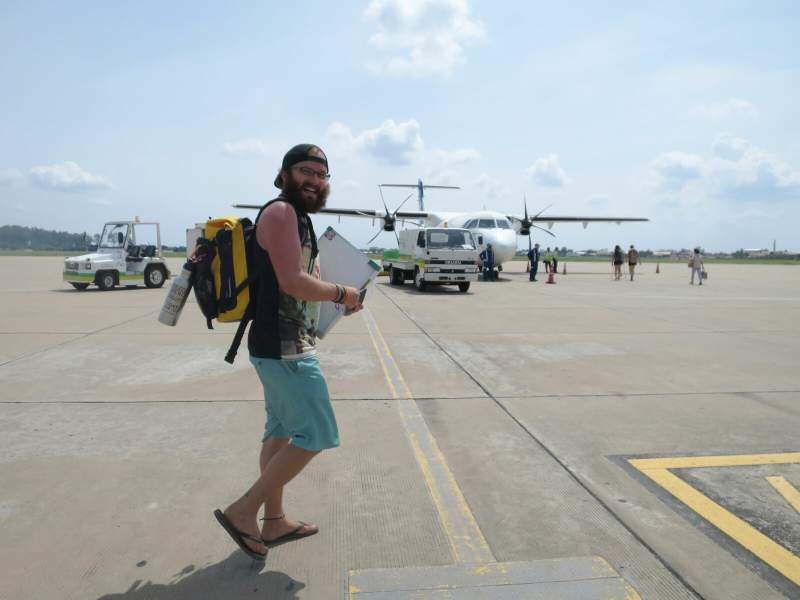 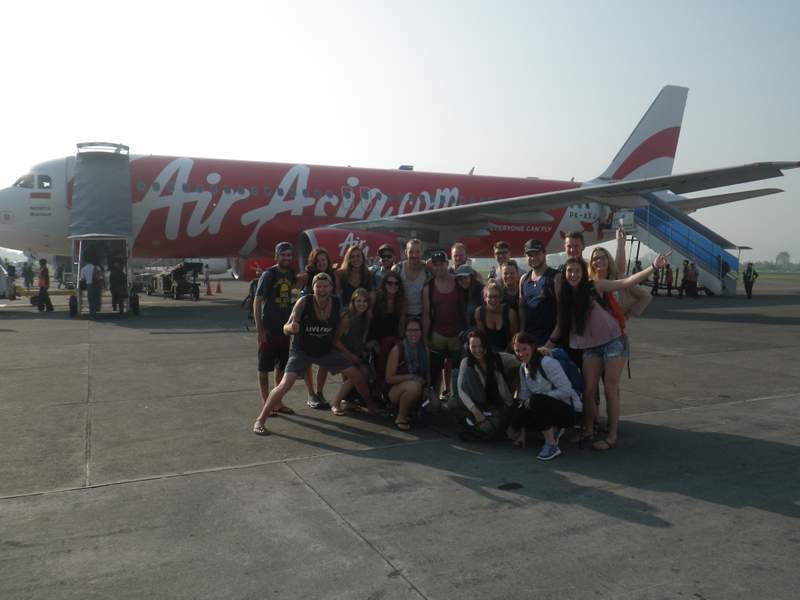 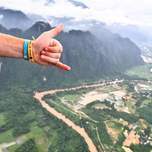 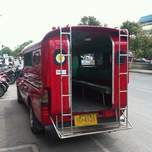 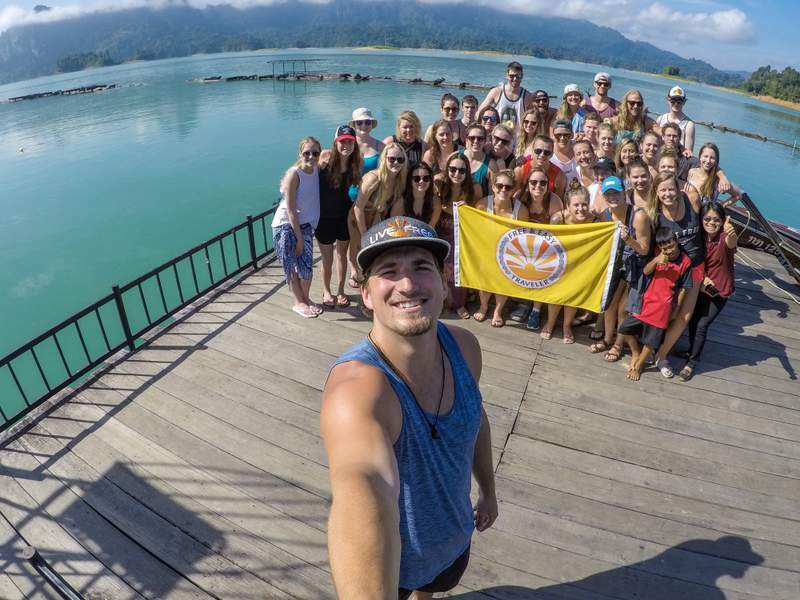 Thailand 8-10-Day — Take a ride in our mini-bus! 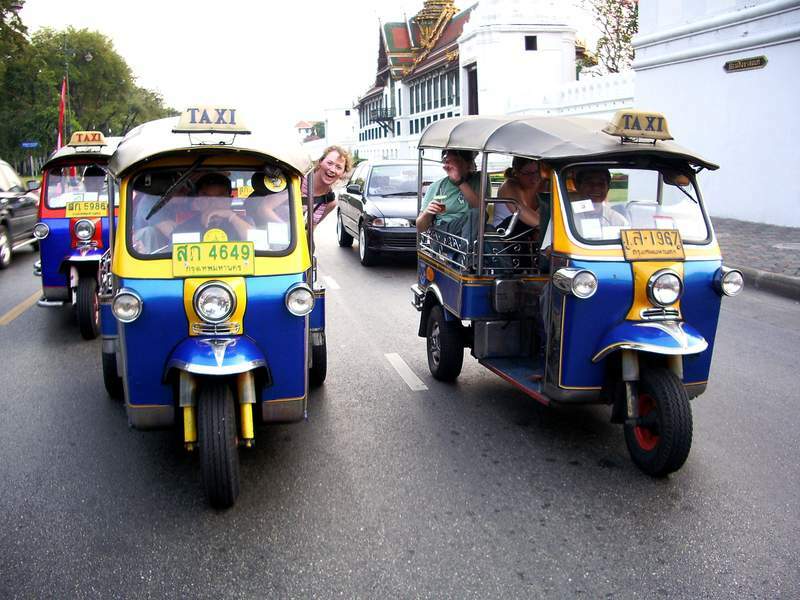 The most common mode of transportation on this trip. 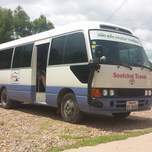 We rent private, A/C minivans which hold approximately 10 people. 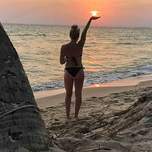 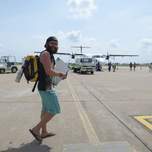 Thailand 8-10-Day — Ferry ride from one beach to the next!